There is nowhere to go but up for both the men’s and women’s basketball teams at the University of Manitoba in 2014-15. Coming off of what could be considered a “character building” season in 2013-14, where neither squad made the playoffs, look for increased drive and focus heading into a new campaign. If history holds true, the 2014-15 season should be a successful one for the Bison men’s basketball team. Head coach Kirby Schepp, entering his sixth year at the helm for Manitoba, has not missed the playoffs in two consecutive seasons since taking the reins for the Bisons back in 2009-10. With a stable mix of veterans as well as experienced younger players, Manitoba should see a huge turnaround from their 6-16 record last year. The Bisons will be led by fifth-year point guard Stephan Walton, who is returning to the lineup after suffering a knee injury in the pre-season last year, which sidelined him for all of 2013-14. A Canada West All-Star the previous year, with 17.3 points per game and five assists, Walton helped guide the Bisons to a second place, 14-8 record in 2012-13. He has the ability to change any game single-handedly with his speed and intelligence on the court, and having him back will be crucial to the team’s success going forward. Having depth at the point guard position will also aid Manitoba. This will come from fellow fifth-year senior and 2013-14 captain Amir Ali, who played in all 22 conference games last season. 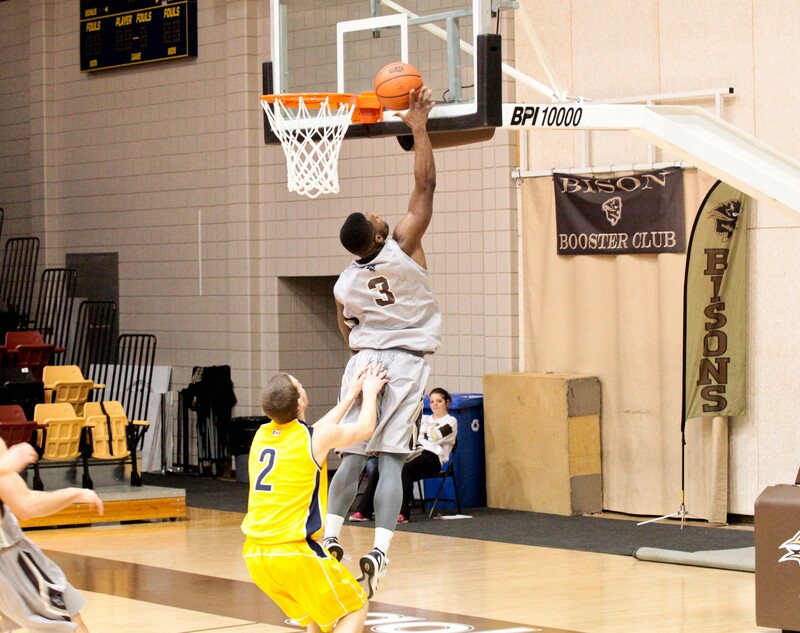 His leadership, both on and off the court, will be a key asset for the Bisons. Dynamic sophomores Andre Arruda (2013-14 Canada West Rookie of the Year), and Justus Alleyn (2.4 assists per game, led the team) provide energy in the back court, while Wyatt Anders and Brett Jewell will be vital in the front court. Anders, another senior, was third on the team in rebounds last season with 118 while Jewell, entering his third year, will see an enhanced role after the graduation of Dan Penner, who led the team in all but one rebounding category in 2013-14. After serving as co-head coach for the past two seasons, Michele Hynes will be in full control of the women’s basketball team in 2014-15. A member of the herd from 2005-10, Hynes was a captain the last time the Bisons clinched a playoff berth back in 2008-09, and will look to lead her squad to the post-season this year. The Bisons had just six players compete in all 22 regular season games last season, and will have five of them (all seniors) return for 2014-15. Stephanie Gill, Robyn Eyer, Sheree Carmona-Galdamez, Allison Balasko, and Vanessa DeVries will all play critical roles this season, on a team that is otherwise relatively young. Gill (fourth in team scoring last year) and Eyer (third in team scoring) were captains last season and will likely maintain those roles this year. Carmona-Galdamez and Balasko both reached double digits in points per game (10.8, and 10 respectively) while DeVries was first on the team in steals and offensive rebounds, as well as second in defensive rebounds. Second-year Jenilyn Monton (second on team in field goal percentage at .395) and third-year Rebecca Potter (played in 21 of 22 games) will add depth and energy for Manitoba.